Almost all the professionals carry a laptop these days, and you will find innovative laptop stickers in many of the gadgets. These stickers are not just for style, they can also indicate what your preferences are. You can use funny, emotional, friendly and various other stickers on your laptop. If you crave for a classy sticker for your laptop, you can download a free sticker design from the website. 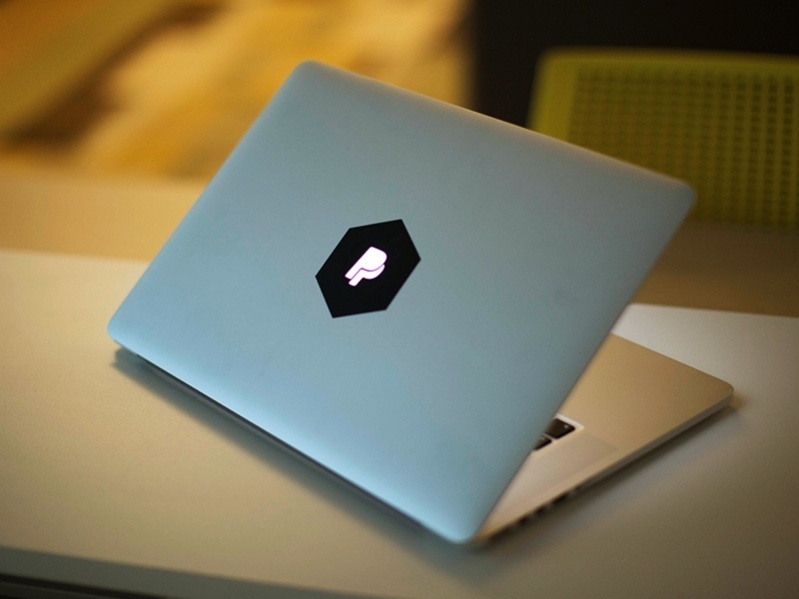 Here are fifteen laptop sticker designs that you can use in your gadget. 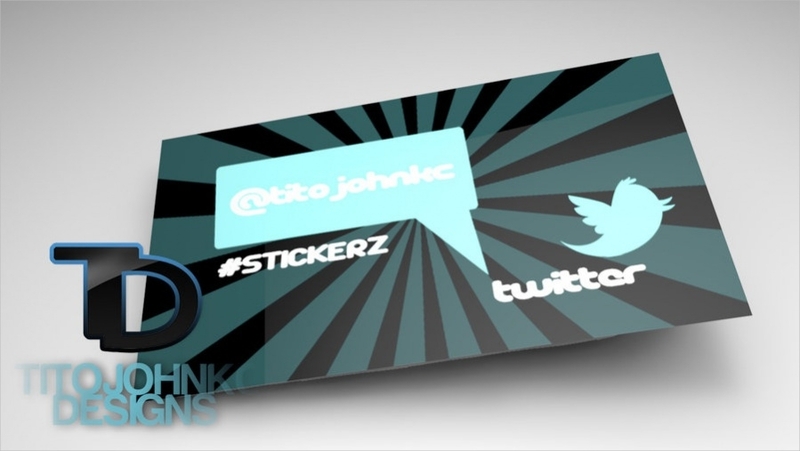 This sticker theme is based on Twitter. The sky-blue logo of the bird is placed on a designed background. Download the sticker for free and use it on your laptop. Sometimes you prefer to paste small stickers with certain logos on your laptop. These stickers have a smart, black background color and the foreground font is red. It looks classy and stylish. This is a collection of abstract elements that you can paste on your laptop. The thin white border lines go well with the black background in the laptops. This design is a bit uncommon, so you can try it out. If you have a body with a silver body, you can use these Harry Potter stickers to get a decent look. 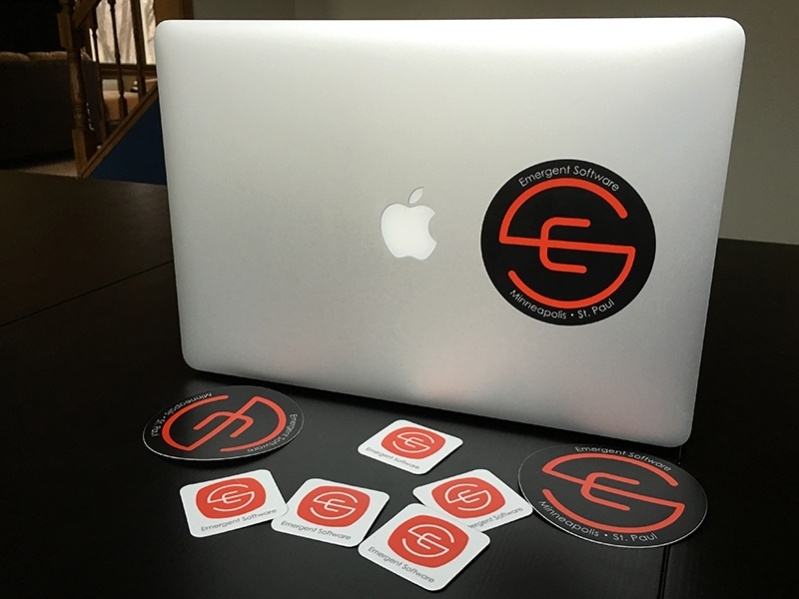 The graphics in the sticker is stylish and the laptop looks sleek when you paste this sticker. These are free laptop stickers with the images of mechanical parts. If you have a laptop with the light colored body, you download this sticker and paste it on your gadget. You can write your name on your laptop along with the stickers if you are interested. In this particular sticker, an image has also been incorporated. Feel free to make the sticker customized for you. 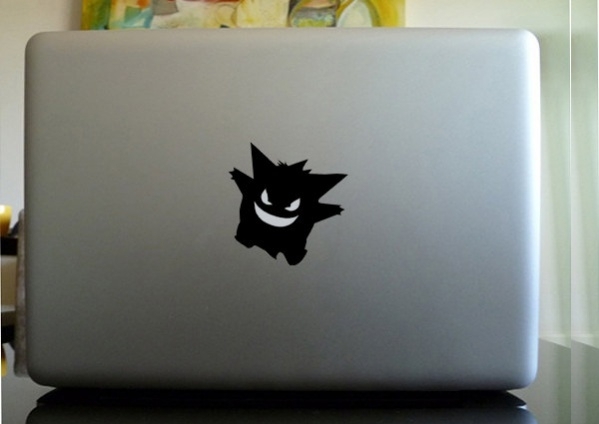 If you have a Mac Laptop, you can try out this sticker, designed especially for your gadget. 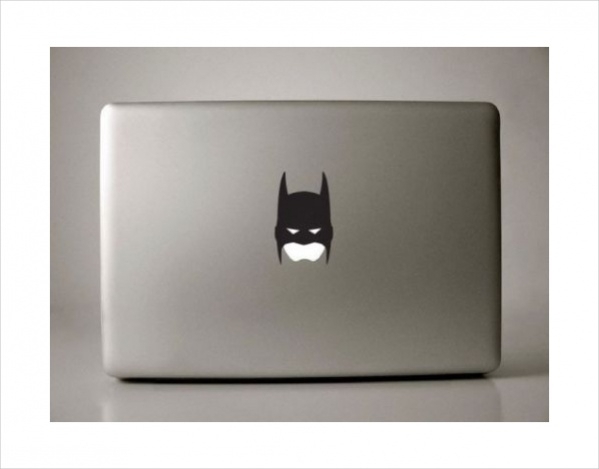 The mac laptop sticker can be pasted on the backside along with the logo created with Batman’s face. Pokemon stickers are quite popular among students and professionals. In this template, the figure of a Pokemon character is pasted in the center. It is dark in color and suits the purpose perfectly well. 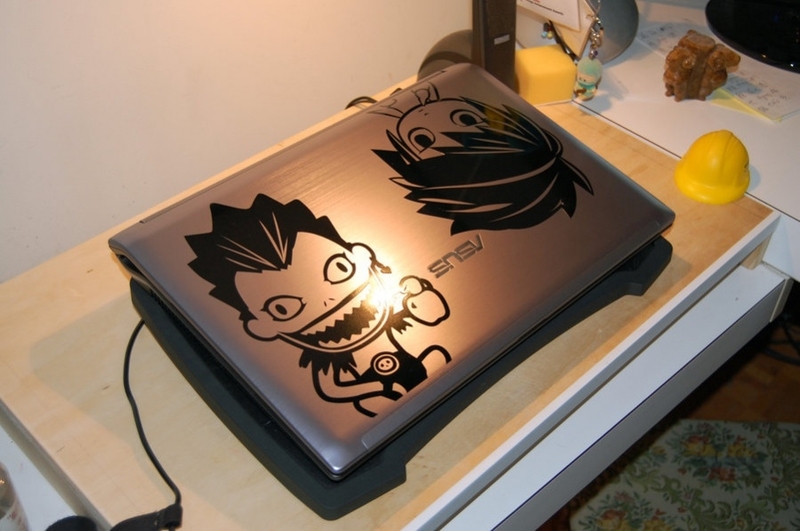 Animated characters are incorporated into laptops as stickers, especially for the kids. In this sticker, the vibrant use of graphics and the context of the situation are of prime interest. In case you need a sticker for the front side of the laptop, just below the keyboard, you can download this one. It resembles a monogram and delivers a smarter look to your gadget. This sticker has only a single alphabet pasted as a sticker on the laptop. You can use the initials of your name as stickers. This sticker is pitch black in color and has a classy look. 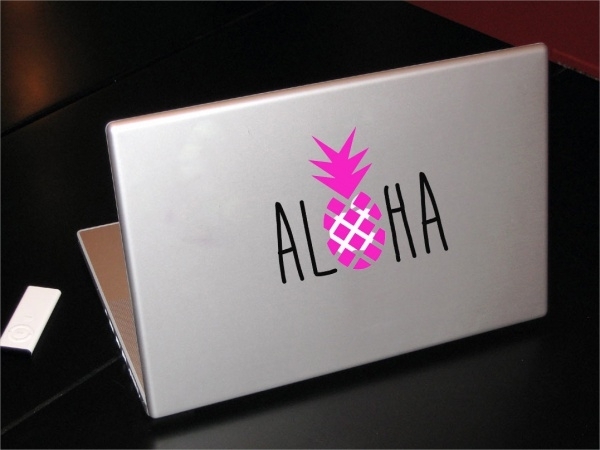 In this template, the name of a city is incorporated as a decorative element in the laptop. The font looks elegant and the stars add richness to the sticker. In this template, the stickers have been reversed and pasted. Animated characters are used in these stickers and they are semi-transparent. The darker areas actually depict the figures. If you want to dress up your laptop with simplicity, this is one of the stickers you can paste on it. It resembles the image of an ancient cycle, edited in a funny manner. 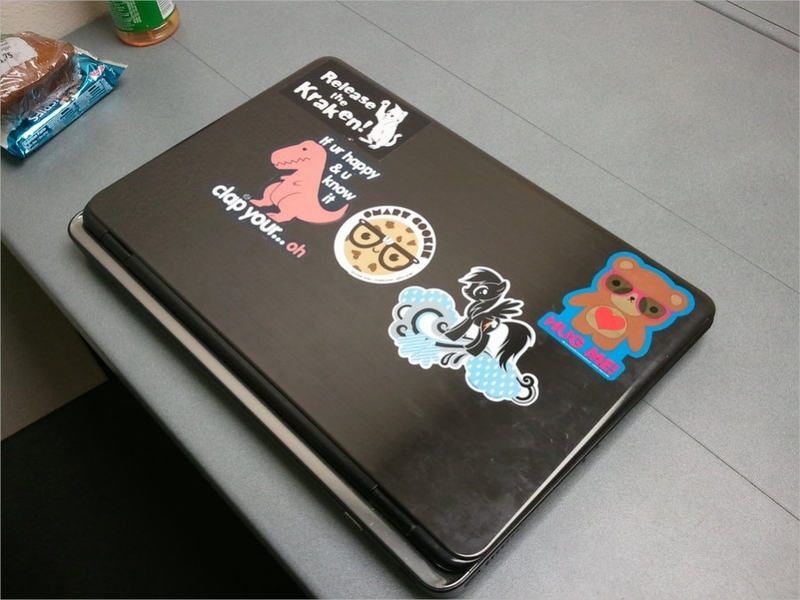 In this collection, a mixed bag of cartoon characters decorates the laptop. 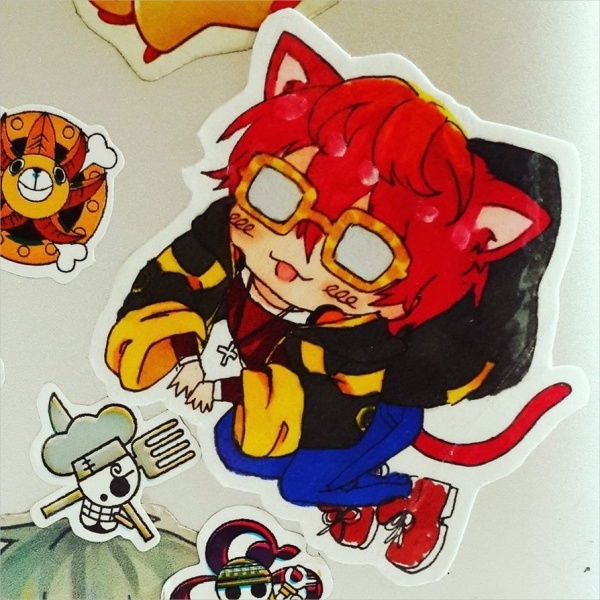 You can download the stickers for free from the website according to your taste and preference. How to use these “Laptop Stickers”? The laptop stickers are very easy to use. You can choose the sticker according to your brand. There are specific stickers with the name of the brand, like HP laptop stickers. Apart from these, you can also opt for the stickers based on other preferences and taste. You can also edit the text in these templates and personalize them for your use. Having done so, you can download the stickers in the available format and place them in the right position in your laptop. People are greatly varied when it comes to taste for stickers. 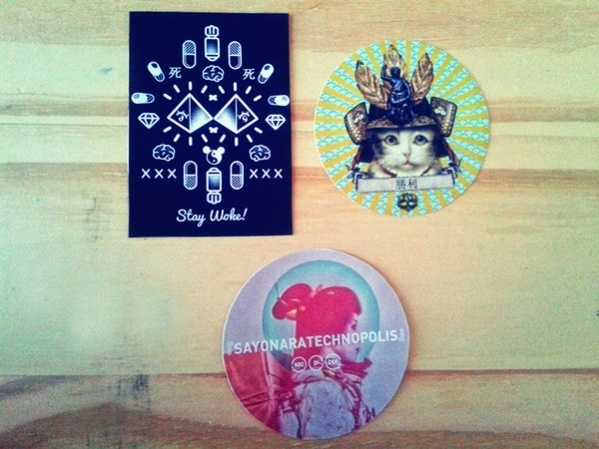 Browse through the website for various stickers for laptops and get them for free. You may also need of cheap laptop stickers and these can be edited as per your requirement. In a nutshell, you can get any laptop sticker in the website.